Okay, mostly I’m just demoing doing a blog post off my phone. Tonight I went roller skating for the first time in 20+ years. The muscle memory was willing but the arthritic knees were week. The attached picture is proof! 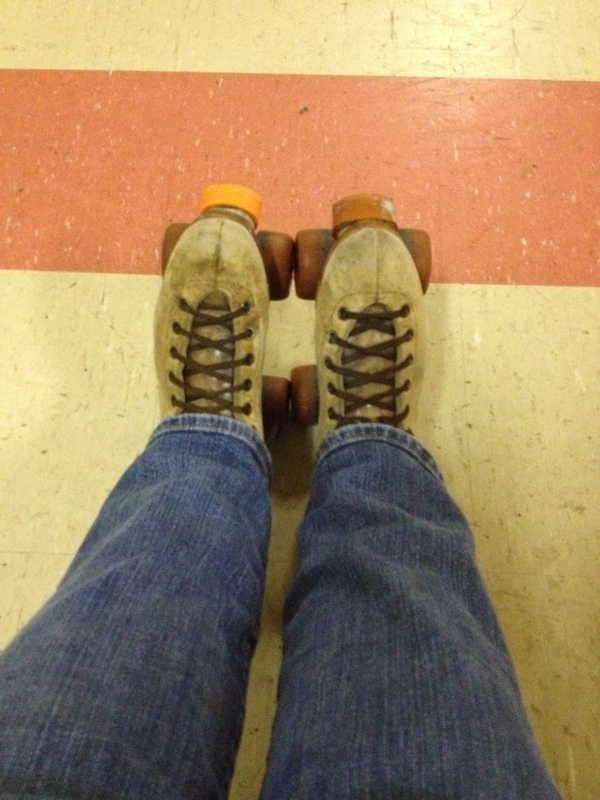 My feet clad in a pair of seriously ancient roller skates. And to think, as a kid, I went to the roller rink twice a week for years. Now? I’m old and feeble and sad. Posted byzenith March 19, 2012 March 19, 2012 Posted inlife updateTags: crazy!